1903 –By hitting financial situation of church-sponsored political organizations, the law on transferring church lands to the disposal of the Ministry of Land and Property of Russia led to expansion of the Armenian terrorism and to escalation of anti-Turkish and anti-Muslim sentiments. October 14, 1903 – Tiflis. 1905 –By committing armed attacks and ethnic cleansing against the Azerbaijanis living in Baku, Erivan, Nakhichevan, Zangazur, Karabakh, Ganja, Tiflis, the Armenians strove to achieve numerical superiority in those areas. February 6, 1905 – The Armenian-Muslim massacres ignited by the murder of one Azerbaijani by the Armenian Committee members took place not only as a result of a coincidence as claimed by many historians, but in a planned manner in the city, where wealthy Armenians were gathered. The Armenians were confident that they would achieve their goal with the help of the Armenian millionaires, take control of Baku oil deposits, create the Armenian state after forcing the Muslims out of the South Caucasus. February 6-10 – During the brutal massacres that resulted in thousands of victims on both sides in Baku, the Armenians failed to achieve their goals and were defeated. February 21-23 – The Armenians committed massacres in Erivan. May 5, 1905 – Three Muslims were seriously wounded in Jahri village of Nakhchivan province, one Muslim was killed in Tunbul village on May 7; the events re-escalated the conflict. May 23, 1905 – Massacres broke out in Yerevan after the young Muslim people were assaulted in Garsachay garden. May 31, 1905 – Although massacres in Yerevan were stopped, the Armenian decided to attack the adjacent Muslim villages. On the same evening, the Gozajik village of Girkhbulag province became the target of the Armenian assault. June 2, 1905 – An Armenian regiment of 10,000 attacked the Mangus village. The residents of the destroyed 12 Muslim villages fled to Tezekend. June 3, 1905 – The Armenians attacked the Gulluja village. The unarmed population escaped to the Tuti, Damagirmez, Kamal villages. The massacres lasted for 18 days. June 3, 1905 – The Armenians from Abaran, Shorayel, Pembek and Aleksandropol attacked the Ushu village of the Echmiadzin (Uchkilsa) village. June 8, 1905 – The Muslims fled the Ushu village. June 9, 1905 – The Armenians destroyed the following villages: Persi, Nazravan, Kichikkend, Kotuklu, Goshabulag, Irku, Angirsak, Takiya. 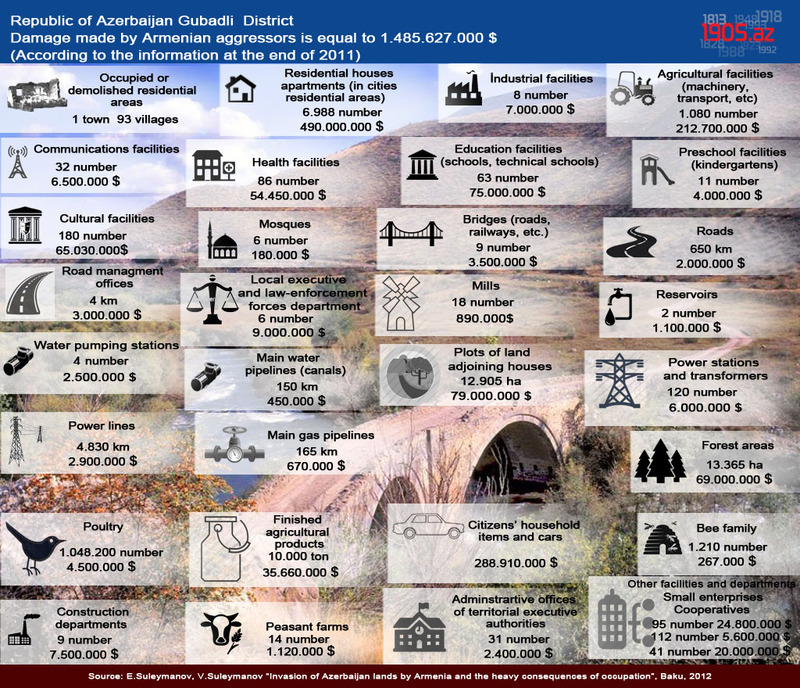 June 10, 1905 – The Armenians destroyed 10 villages in Echmiadzin. 1905-1906 – Many Azerbaijanis (10,000 more than 10-year natural population growth) were murdered in the Erivan Governorate. November 1905 – By igniting riots in Ganja, Javanshir, Kazakh, Tiflis, the Armenians killed thousands of innocent Azerbaijanis. 1906 – At the initiative of General Governor of Caucasus Vorontsov-Dashkov, a peace conference aimed at stopping the Armenian-Muslim massacre was held in Tiflis. 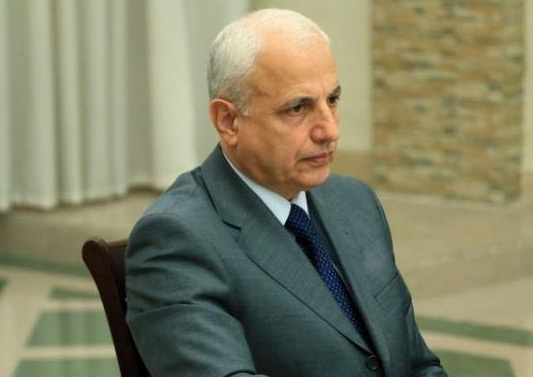 The representatives of Muslim community – Ahmed bey Agayev, Alimardan bey Topchubashov, Adil Khan Ziyadkhanov and others exposed the intentions of Dashnak Party as the mastermind and executor of the massacres and terror acts in the Caucasus, proved indifference of the authorities towards the actions of the party. August 1906 – The Armenians destroyed the following villages in Zangezur and committed genocide against the Azerbaijani population: Khalaj, Karkhana, Gatar, Injevar, Dashnov, Chollu, Yemazli, Saldashli, Mollalar, Batuman, Okhchu-Shabadak, Atgiz, Purdavud, Zurul, Juman, Iyilli-Sanali, Minanavur, Farjan, Galaboynu, Bujagig. 1918 – 229 settlements were destroyed by Armenian armed forces in Baku Governorate. December 27, 1947 – The USSR Council of Ministers adopted the resolution № 4083 “On resettlement of collective farmers and other people from the Armenian SSR to the Kura-Araz lowlands of the Azerbaijan SSR”. According to the resolution, 100,000 collective farmers and other Azerbaijani residents were to be resettled “on a voluntary basis” from the Armenian SSR to the Kura-Araz lowlands of the Azerbaijan SSR. February 2, 1948 – The Council of Ministers of the Azerbaijan SSR adopted the relevant resolution, which was to define hosting and resettling 10,000 people from the Armenian SSR in 1948. March 10, 1948 – In addition to the resolution № 4083, the Council of Ministers of the USSR adopted the resolution № 754 “On measures regarding the resettlement of collective farmers and other Azerbaijani people from the Armenian SSR to the Kura-Araz lowlands of the Azerbaijan SSR”. 1948 – 6,298 families (24,631 people) were resettled from Armenia to Azerbaijan. 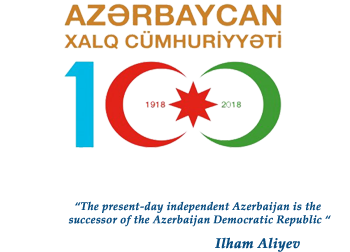 September 21, 1949 – Considering the intolerable situation, the Council of Ministers of the Azerbaijan SSR requested the Council of Ministers of the USSR to decrease the resettlement plan to 10,000 people per annum. 1949 – 12,306 families (54,373 people) were resettled from Armenia to Azerbaijan, mainly to Zardab, Ali Bayramli, Kurdamir, Goychay, Mirbashir, Salyan, Imishli, Sabirabad and Yevlakh. September 19, 1950 – by the decree of the Supreme Soviet of the Armenian SSR, the following railway stations were renamed: Kolagiran – Tumanyan, Hamamli – Spitak, Ortakilsa – Maisyan, Tomardash – Vardakar, Arpachay – Akhuryan, Bugdashen – Bagravan, Garagula – Gedap, Alayaz – Aragats, Boghudlu – Arteni, Garaburun – Garmrashen, Qamishli – Sovetashen, Ulukhanli – Masis, Imanshahli – Mkhchyan, Gamarli – Artashat, Shirazli – Aygavan. Early 1951 – a portion of the resettled population had to return to their emptied villages in Armenia. March 19, 1951 – Dilijan rayon was incorporated into Ijevan, Azizbeyov into Mikoyan, Alayaz into Abaran, Garabaglar into Vedi, Gukasyan into Amasiya. 1951 – It was planned to resettle 1,500 families from Armenia into the Kur-Araz lowland. 1952 – According to the resolution of the Council of Ministers of the Azerbaijan SSR on resettlement plan defined resettlement of 1,200 farms; the plan was fulfilled 124.6% by the end of the year. 1953 – The resettlement stopped following J.Stalin`s death and the process of return was accelerated. February 19, 1988 – Mass demonstrations started in Yerevan. February 20, 1988 – The extraordinary session featuring only the Armenian members of the Soviet of People`s Deputies of the Nagorno Karabakh Autonomous Oblast adopted a resolution on incorporation of the oblast into Armenia. 1988 – The Armenian authorities started deporting the Azerbaijanis from Armenia by not guaranteeing their security and creating panic among them. March 25, 1988 – As the activities of the Karabakh committee was contrary to the Constitution and legislation of the Armenian SSR, the Supreme Soviet of the republic adopted a resolution on outlawing and suspending the committee. June 15, 1988 – At the request of the Soviet of People`s Deputies of the Nagorno Karabakh Autonomous Oblast, the Armenian SSR approved Nagorno-Karabakh`s incorporation into Armenia. June 15, 1988 – By approving Nagorno-Karabakh`s incorporation into Armenia, the Supreme Soviet of the Armenian SSR requested the Supreme Soviet of the USSR to approve the action. 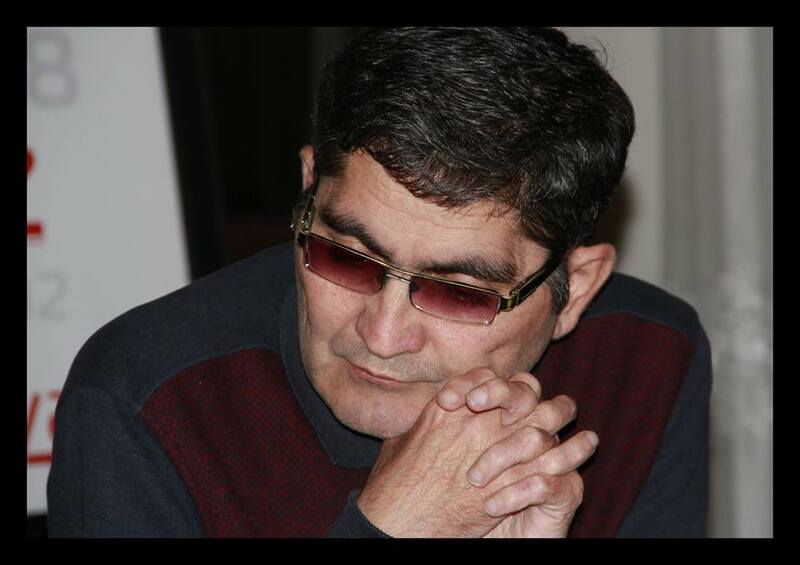 After the Supreme Soviet of the Azerbaijan SSR dismissed this illegal demand on June 17, the situation of the Azerbaijanis in Armenia further worsened. July 18, 1988 – After the Presidium of the USSR Supreme Soviet discussed the Nagorno-Karabakh issue and considered inadmissibility of changing the borders between the constituent republics, the Armenian nationalists began to organize rallies on deporting the Azerbaijanis from Armenia. Mid-November 1988 – Over 80,000 refugees sought asylum in Azerbaijan. November 17, 1988 – During a rally held at Azadlig (Freedom) Square in Baku, a resolution demanding autonomy for the Azerbaijanis living in Armenia was adopted. November 27, 1988 – The First Deputy Chairman of the Council of Ministers of the Armenian SSR (later the first secretary of the Central Committee of the Armenian Communist Party) V.Movsesyan visited the Zod village in the Vardenis rayon and announced that the population had three days to leave the village. Until December 1, 1988 – The majority of the Azerbaijanis working in managerial positions in Armenia were dismissed. December 6, 1988 – After almost all the Azerbaijanis were forced out of Armenia, the Central Committee of the Communist Party and the Council of Ministers of the USSR adopted a resolution “On unacceptable acts of individual officials’ in local offices of the Azerbaijan SSR and Armenian SSR in forceful deportation of the citizens from their residences”. December 15, 1988 – In order to create illusion of returning the deported Azerbaijanis, the Armenian authorities discussed the implementation of the above-mentioned document dated December 6 of the Central Committee of the Communist Party and the Council of Ministers of the USSR, dismissed 13 high-ranking officials from the party (more precisely, appointed to other positions), reproached 68 people. January 4, 1989 – At the “request” of the Armenian authorities, the Azerbaijani government appealed to the refugees to return to their places of permanent residence on behalf of the Central Committees of the communist Parties, Presidiums of the Supreme Soviets and Council of Ministers of both republics. December 1, 1989 – After the resolutions of the Armenian Supreme Soviet on Nagorno-Karabakh`s incorporation into Armenia, the process of forceful deportation from Nagorno-Karabakh was intensified. 1988-1989 – As a result of Moscow`s support to Armenia, the Azerbaijanis were forced out of 170 Azerbaijani and 94 mixed villages in Armenia. August 9, 1990 – With the letter No. 05-1-208, the Azerbaijani Supreme Soviet appealed the USSR Prosecutor’s Office and requested data on the Azerbaijanis killed in Armenia on the basis of ethnic conflicts. December 2-5, 1990 – Over 2,300 Armenians returned to the places of permanent residence in Azerbaijan, including 1,100 people to Baku, 315 to Shamakhi, 110 to Zagatala, 54 to Shamkir. April 9, 1991 – By the decree of the Supreme Soviet of the Republic of Armenia, 90 toponyms of Turkic origin were renamed.